The player is Oswald: a precarious pachyderm on stilts. The simple yet unintuitive input mechanics are the main challenge. 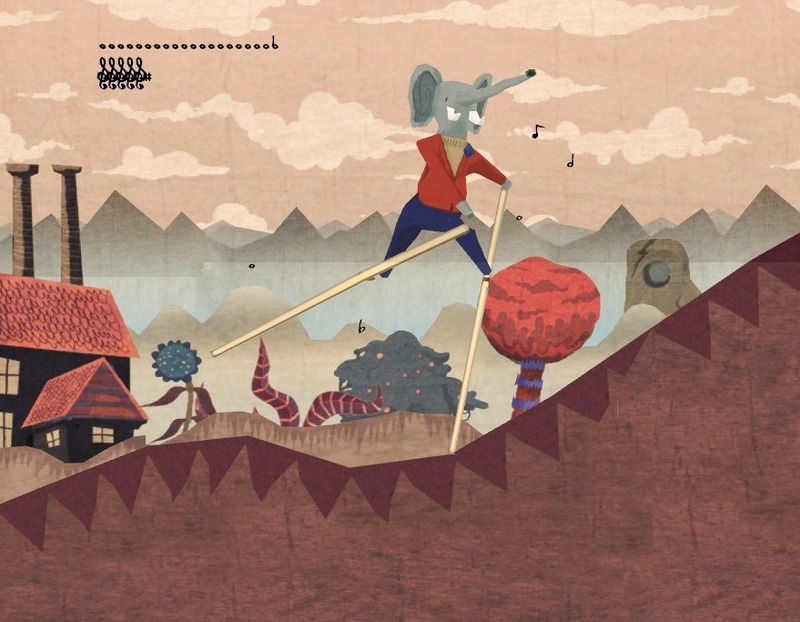 Using the right and left arrows on PC/Mac, or tilting an iPad left and right, the player controls each stilt separately and must carefully balance with each step to cross the treacherous landscape.